After contemplating selling your home, it is time to spruce it up. It is time to pull out the big guns to ensure that you get a favorable offer on the table as viewers consider buying your home. So how do you make your house the most attractive one on the block? We know because we buy houses in Orlando, Florida all the time. Below are some tips that you can use to attract prospects and get the highest value for your home. Very personal items might be used to create an endearing appearance, but they might end up being too distracting to viewers. In some instances, it might end up freaking out prospective clients. Sometimes, you might appear as though you are not ready to let go of the house. Therefore, declutter you home. You must pack up all the books from the shelves and the various knickknacks. If it doesn’t add value, don’t have it on view. There is nothing quite as captivating as a clean house. Shabby and carelessly put together homes are huge turn off to prospective clients. It is your responsibility spruce up all the corners of your home. Get rid of all the dirt and grime that is visible to the naked eye and that is easy to spot. This ensures that you show how good the place is capable of being. Hiring a professional cleaning service should be a safe bet that every inch of your house is ready. Do you remember that dripping faucet? What about that switch you have been meaning to get fixed but haven’t got around to fixing? Oh! Are those pencil or magic marker stains on the wall? Is that a creaking a floorboard on your staircase? Before you let anyone near your home, it is important to check out everything thoroughly. Every part of the house must be in good working order. If there are repairs to be made, you should make them as quickly as possible. Get a professional contractor if the repairs to be done are extensive. If they are small enough, you can fix it up yourself. If you don’t want to do the repairs, consider selling to a company like ours that pays cash for homes and will buy them in any condition, regardless of any repairs needed. Just because you intend to leave a house, it doesn’t mean that you should neglect the living room and bedrooms. As was highlighted above, you want the view to feel as though they have already moved; the space offers a world of possibility for them, why not give them a taste of what to expect. Always ensure that you replace the sheets on the bed. This is seems like drudge work considering that no one is really lying on the bed but it still provides that homely and new feel. This creates a good impression and increases your chances of getting a prospective buyer. Therefore, to get quick offers for your home, you must follow the aforementioned steps. 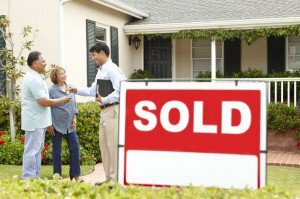 If you are looking for someone to buy your house right now, you can consider that we buy houses quickly in Orlando, Florida. Feel free to reach out for a no-obligation cash offer today.